The Fonthill reliability ride starts from Carlo’s Ices (West Wellow) at 9am on Sunday 28 April.Please arrive before 8:45am to allow time to sign on. 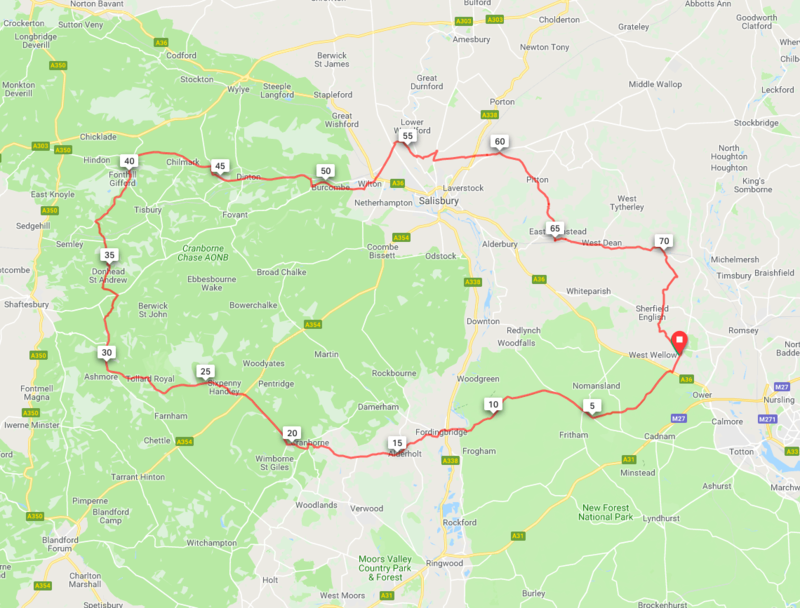 The route goes west through the New Forest, Fordingbridge and Cranborne, north via Sixpenny Handley to Fonthill Bishop (scenic highpoint), and east through Wilton, past Old Sarum, through Pitton and along the Dean Valley before returning to Carlo’s. A bit longer than last month, but with many fewer hills!